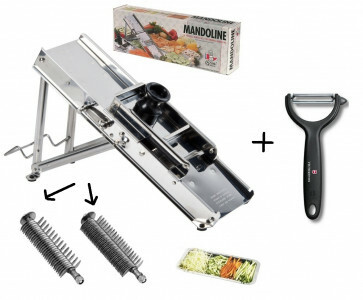 This mandoline is the perfect tool and the most complete suitable for restaurateurs. 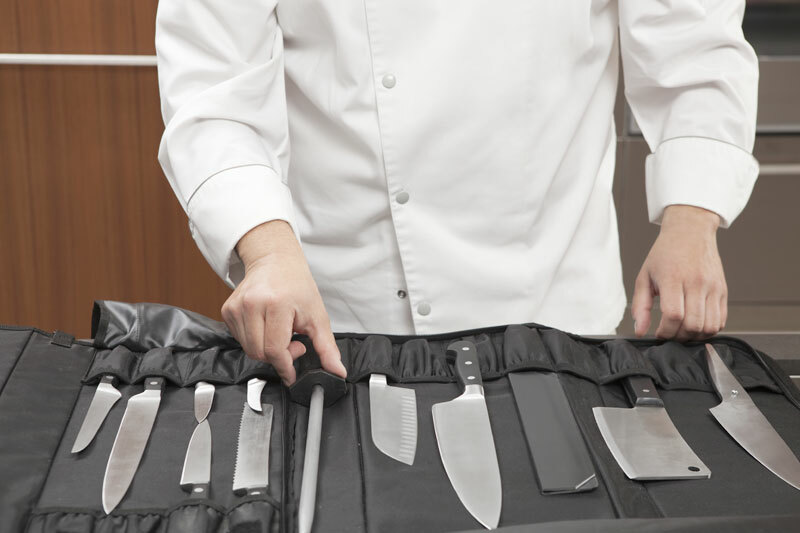 All cuts are made quickly on the same device without the need to remove or add items, thanks to embedded control systems. - 38 blades: allows the creation of sticks, julienne width 7 and 3 mm. 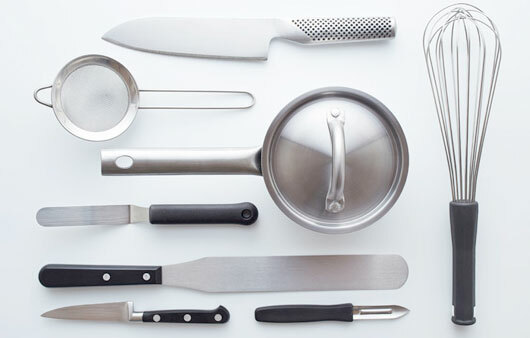 You can cut vegetables and fruit into thin slices or sticks or thin julienne. Provided trolley saves fingers in stainless steel. In tribute Peelers with Victorinox Serrated blade, to prepare your fruits and vegetables in speed and slice them in the easiest and fastest way. Size: 135 x 410 x 45 mm.